Welcome to the former Cal Compact Landfill public document website. The purpose of this website is to provide an archive of publicly available documents (reports, permits, fact sheets, etc.) 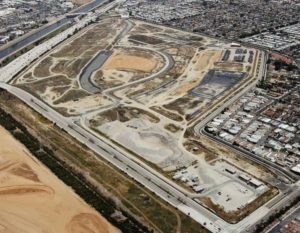 associated with the investigation, remediation, and monitoring of this former landfill, located in Carson, California. The project site is currently undergoing remediation and monitoring under the oversight of the Department of Toxic Substances Control (DTSC). You can access information about this site using DTSC’s Envirostor public website, which can be accessed by clicking here. To locate a document using this website, select “Documents” above, or Click Here. The Documents tab contains technical documents dating back to 1975. The documents are filed according to the year that the document was issued. Expand the Documents directory using the drop arrow on the left or select any folder to display its contents. To send us your thoughts, select “Contact Us” above, or Click Here.